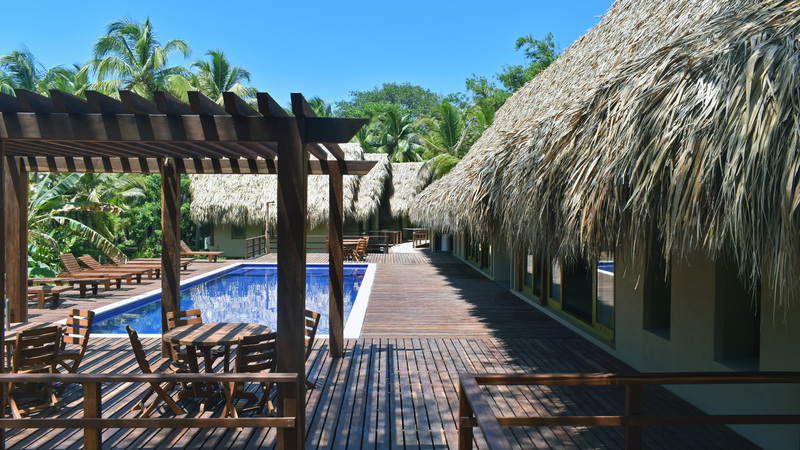 Ecohabs Los Naranjos is a recently built accommodation that is located within the Finca Barloveto, private estate with access in just a few minutes to Los Naranjos beach and Los Angeles beach. The Tayrona Park is only 5 minutes away by car. 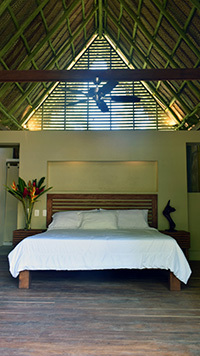 Ecohabs Los Naranjos is integrated into nature with the comfort of a boutique-hotel. It is a private area and completely surrounded by nature. 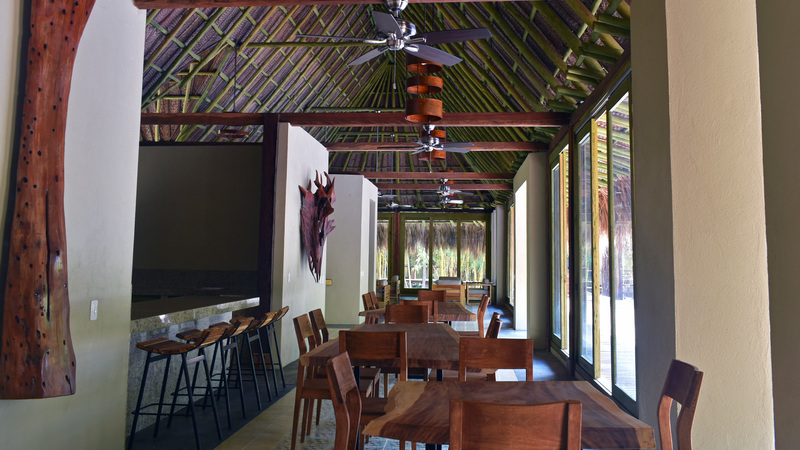 This boutique hotel consists of 8 large huts mixed with bamboo, palm trees and great vegetation in a jungle place totally fused with nature 2 minutes walk from the beach. Reservations are usually made six months in advance and most international flights arriving in Colombia are completed two or three months before the scheduled arrival dates. Therefore, we have few possibilities to resell the canceled accommodation and we must consider the canceled reservations as irrecoverable. The client can cancel the reservation free of charge up to 30 days before the arrival date. The client will have to pay the full price if canceled during the 29 days before the arrival date. If the client does not show up he will have to pay the total price. The remaining balance of 50% is required 15 days before arrival in the low season and 30 days in the middle and high season. Option 1: From Santa Marta, Rodadero or Airport you can take a private taxi to the hotel, with a cost from the city of Santa Marta of 90,000 pesos, from the airport of 110,000 pesos and from Cartagena of 500,000 pesos. Option 2: GO to the Public Market on 12th street with cra 9. From 6:00 am, every 15 minutes, buses depart for Tayrona PNN, the price is 8,000 pesos / person, this bus will leave them at the entrance of the Finca Barlovento, when taking the bus you must indicate the driver to stoy at the entrance of BARLOVENTO. When entering you must confirm that you have a reservation at Ecohab Los Naranjos and they already indicate how to get to the hotel. 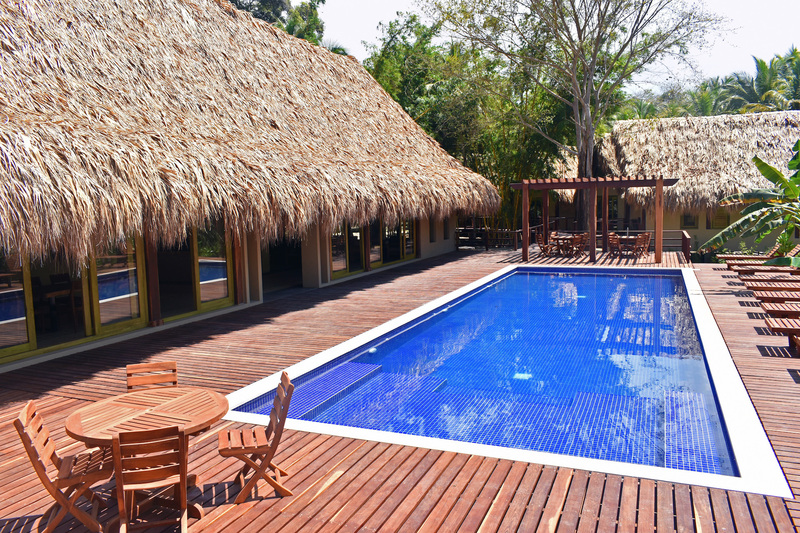 Option 3: The hotel is located at km 33 of the Santa Marta-Riohacha highway, just 5 minutes by car from the main entrance of Parque Tayrona. If you come from Santa Marta, you should be alert to a sign that is at the height of a curve in the road where it says "Casa Barlovento" following that detour enter the farm. 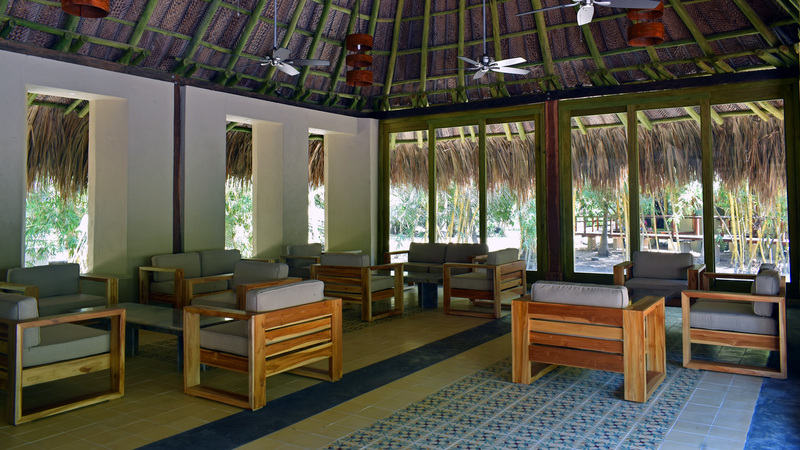 When entering you must indicate that you have a reservation at Ecohab Los Naranjos.